A Polish Miracle for Iraq? With ISIS still sitting alarmingly close to Baghdad, Iraq could use its own “Miracle on the Vistula” moment. Poland’s western allies offered little more than minimal material support and diplomatic condemnation of the Red Army advance. For its part, Lenin’s government in Moscow was confident of victory. By the summer of 1920, the Red Army had prevented the establishment of an independent Ukrainian state, blocked Polish attempts to create an eastern buffer zone against Russia, liquidated most counter-revolutionary resistance in the eastern Russia and forced the bulk of the so-called White Army into the Crimea. Lenin thus described the strategic situation (in hindsight) during the Twentieth Bolshevik Party Conference: “In July 1920, we were convinced that the defensive war against the imperialists had been won and that it was time to take the offensive in order to assist with the Sovietization of Poland.” With the West Front headed for Warsaw and the South-West Front, under the command of Stalin and Yegorov, headed for Lwow, it was hoped that a path would clear for an all-out offensive into Central Europe before Fall 1920. Tukhachevsky and Trotsky were convinced that once Berlin — the site of a de facto guerilla war waged by well-armed and radicalized Communist factions against the nascent Weimar Republic — was reached, a wave of revolution would sweep Europe’s industrial heartland. Moscow had already assembled a provisional “Polish Revolutionary Committee” which would seize control of a future Polish Socialist Republic. At the head of this superficially primus inter pares group was Felix Dzerzhinsky, founder of the Bolshevik secret police (the Cheka) whose agents were responsible for implementing the “Red Terror” against the regime’s opponents. As for Tukhachevsky, he was at that time a distinguished former Imperial Russian army officer in his late twenties who refused entreaties by close friends to join the anti-Bolshevik forces. Following what would be an ignominious defeat at Warsaw, he would go on to crush the peasant revolt at Tambov and the sailors’ mutiny at Kronstadt. Incidentally, the former operation would involve the widespread use of chemical weapons, construction of nine concentration camps, mass seizure of civilian hostages and summary execution of any peasant who refused to immediately identify himself to military authorities. Tukhachevsky began his offensive on July 4. By early August, between Tukhachevsky’s drive to Warsaw and Stalin’s occupation of West Ukraine, isolated Red Army units were within 360 kilometers from Berlin after having advanced four hundred kilometers in five weeks. On Aug. 12, Radzymin, the best fortified stronghold outside Warsaw, fell after a savage Russian assault. With a coup possible and defeat seemingly imminent, Piłsudski retreated to his quarters and devised a daring plan. In a functional repeat of Robert E. Lee’s spectacular defeat of Union forces at the Battle of Chancellorsville in May 1863, the amateur commander left a token force to defend Warsaw and effectively abandoned Lwow in the south. Concentrating 20,000 of his army’s best units into a combined strike force (reinforced by remnants of satellite armies), Piłsudski opted for a hammer blow attack on Tukhachevsky’s flank and rear. The Red Army commander had outrun his supply lines, his troops were spread thin and there was no tactical reserve to cover the breach. Tukhachevksy, a pioneer of Soviet deep operations who would later emphasize the importance of reserves, discounted them during the Polish campaign. Convinced that Polish forces were thoroughly demoralized, Tukhachevksy left poorly equipped rearguard forces to guard his flank. On Aug. 16, Piłsudski launched his attack and encountered minimal resistance. By the time Polish forces met significant numbers of Red Army troops, the situation had become so chaotic and communications to Tukhachevksy (surveying the situation by train over 200 kilometers away) so effectively cut that what could have been an organized retreat turned into a route. When the dust settled, the Red Army had lost over 20,000 men and, by some estimates in the aftermath of follow-up envelopments by Piłsudski, close to 100,000 prisoners. Lenin was forced to abandon his hope for an early export of the Bolshevik Revolution westward, Trotsky’s reputation suffered due to the defeat of his unofficial protégé and Poland retained her independence. The Bolsheviks, soon to rename themselves Communists and found the Soviet Union, would eventually turn west again, but they would never have the circumstances to achieve complete victory as desirable as those in the summer of 1920. Beyond the stature earned by Piłsudski in the immediate aftermath of victory, the Battle of Warsaw played a critical role in reshaping Poland’s national identity after over a century of statelessness. The nation had united to defeat a seemingly unstoppable force standing at the gates of its capital and destroyed it with a single, decisive blow. Moreover, victory was achieved partly due to fierce delaying actions fought by beleaguered Polish forces who refused to convert over the Bolsheviks. Unlike many anti-Bolshevik volunteers in Russia and Ukraine, who went over to the Red Army in droves following military defeat, the Poles proved on average harder to inspire toward permanent revolution. Having nurtured a long history of self-government, a unique language and culture anchored in devout Catholicism and a reputation for being Europe’s bulwark against wayward eastern conquerors, the Poles’ national identity largely overcame the appeal of transnational Bolshevism. That identity would remain steadfast throughout the rest of the twentieth century and overcome both the Nazi occupation of 1939–45 and subsequent Soviet puppet regimes through the end of the Cold War. The Bolsheviks had succeeded in hijacking Russia and using it as a springboard to export their revolution, but were thwarted by a combination of a single leader’s military insight and the underlying strength of Polish nationalism. The similarities between what Piłsudski and the reborn Poland confronted in 1920 vis-à-vis the Red Army and what the Iraqi government in Baghdad is presently facing vis-à-vis the Islamic State in Iraq and al-Sham (ISIS) are quite profound. Like the Poles, the Baghdad government is facing a transnational, ideologically-driven political movement intent on armed revolution. The uniforms of the leadership and the battlefield tactics may vary, but functionally, ISIS, like the Bolsheviks, has erased national borders in pursuit of a cross-border caliphate. Just as the Russian revolution was led mostly by men who had not lived in the country for decades and saw it as little more than a staging ground for access to other prizes (read Berlin, London and Paris), so too is ISIS increasingly made up of foreign fighters with little or no connection to the lands which they have seized and absorbed into the movement’s sphere of influence. Additionally, as Tukhachevksy stood on the outskirts of Warsaw immediately prior to his defeat, as of this writing ISIS’ forward units have staged probing actions in Baghdad’s suburbs. Just over the weekend, ISIS launched a coordinated attack with three suicide car bombs. This was preceded by sporadic suicide bombings in and around Baghdad, intent on causing chaos and spreading panic. Yet, the Iraqis, unlike the Poles, face several unique problems. First, there is no singular Iraqi nationalism that Baghdad can rely on to unite the public against ISIS’ advance. Unlike Poland’s centuries of history as a unitary, independent state, Iraq is an artificial construct created in the aftermath of the First World War. The mentality of the population is tribal rather than national (i.e., local interests are prioritized at the expense of anything resembling a nation-state). As such, Iraq’s political history has been inextricably linked to a battle for tribal supremacy, with the Kurds (until recently) caught in the middle and separated from their brothers in Turkey and Syria. This basic lack of nationalism has been confounded by Baghdad’s sectarian war against the Sunnis, the atrocities of Iran’s militias (taking on an ever larger role against ISIS in the aftermath of humiliating withdrawals by Iraqi security forces) and Washington’s obsession with a unified Iraq. Worse, the U.S. government has for months been negotiating with the wrong people in its attempt to enlist Sunni sheikhs to fight ISIS in Anbar Province and reinforce Iraqi security forces. Now, with 450 additional U.S. troops en route to Baghdad and preparations for new bases being advanced, reports are of a push by Pentagon officials to retrain and reorganize two full Iraqi divisions (with Sunni tribal fighters taking a more central role) in advance of an offensive to retake Ramadi and Mosul. How any of this is supposed to work in the current climate of distrust is anyone’s guess. When Iraqi security forces abandoned scores of weapons and equipment in Ramadi, some Sunni fighters, who had begged to be trained and armed by Baghdad against ISIS, became convinced that Iraq’s government would rather that the Islamists take the munitions than have them fall into unaffiliated Sunni hands. As the U.S. has meandered in its approach to the situation on the ground, Tehran has stepped in to take a greater role in command and control over Baghdad’s defenses. The very real risk exists that Iraq’s army will suffer the fate of Assad’s with the Revolutionary Guard playing the same role as Hezbollah in Syria. 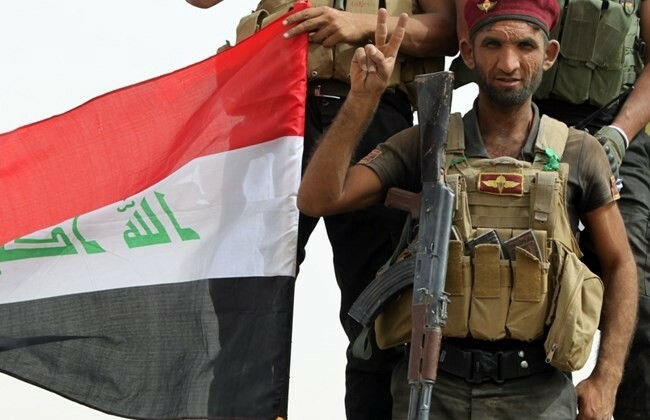 Even if al-Abadi’s forces succeed in recapturing Ramadi and Mosul, consolidating their gains and eventually pushing ISIS out of Iraq, there is no guarantee that the Sunnis left behind will be open to leaving these strongholds in Baghdad’s hands as part of a status quo ante bellum. Nevertheless, and despite seemingly insurmountable problems, there is room for optimism. As I have written on these pages, if Iraq can find a skilled military leader and political operator capable of guiding the country through either a full partition or toward a weak confederation, the first steps could be taken toward a sectarian cold peace necessary to rid the country of ISIS and its transnational affiliates. In short, ISIS’ transnationalism cannot be defeated without the advent of a new Iraqi nationalism. Additionally, symbolic, but isolated victories in Tikrit and Baiji will probably not be enough to materially turn the tide. Baghdad and Iraq, what is left of it, can in all likelihood only be saved with one decisive action akin to that achieved by Piłsudski. It may require leaving the defense of the capital to a screening force, buying time for a build-up of sufficient strength with ambitious raids within ISIS strongholds and making very painful concessions to Sunni tribal sheikhs. Time is certainly not on the side of Iraq’s current government, but a permanent delaying action against ISIS is not an option. Iraq faces a fundamental choice: reinvent and survive or continue with business as usual and accept dismemberment by ISIS and Iran.